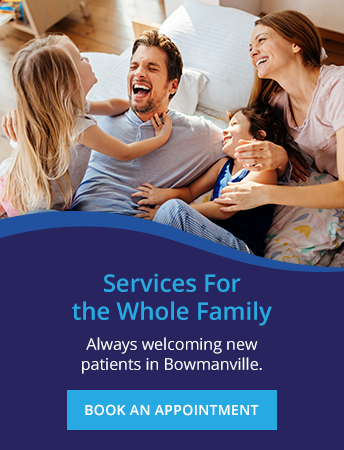 Get the smile you desire in Bowmanville! Our dental team offers cosmetic services ranging from bonding, veneers and teeth whitening to improve the appearance and function of your teeth. At R.A. Campbell Dentistry, we understand that your smile is important to you. Our goal with our cosmetic services is to enhance the aesthetic of your smile and help you love the way it looks!